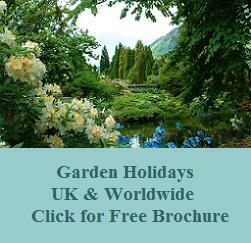 Reach a large, exclusive audience, passionate about your garden or gardening related business. We offer a full no quibble refund if at the end of the period your advert has not generated extra business*. Gardens open entirely for the NGS and similar schemes are free of charge but must be open regularly to the public. Complete the online form if you wish to be considered for inclusion. Inclusion is entirely at the discretion of the editor. 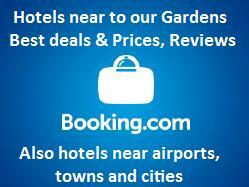 Additional visitors will more than cover your cost. Gardens open solely for charities like the NGS are free of charge but must be open on a regular basis. Our high impact banner adverts appear on our County pages and will generate more referrals for your garden. 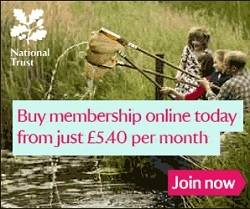 We charge £100 for each month chosen. Fees are payable up front. These banners are great not only for gardens but also for nurseries, garden centres and garden related businesses. Tel 01666 825390 or email info @ greatbritishgardens.co.uk (re-type) for further details. We reserve the right to exclude gardens or banner adverts at our complete discretion and at any time even after listing.